Imagine you are lying in bed, having a great conversation with your friend. The phone battery is low and now you must charge your phone. What would you do? Get up from your bed, look around for your cable and then plug it in. Imagine that the plug is away from your bed, what would that feel like? You will have to move away from the bed and sit some place uncomfortable and have the conversation? That doesn’t seem too great anymore, does it? Wccftech brings you a great solution at a great price, The Qi Wireless Charging Pad. Qi Wireless Charging Pad has a great design and sports fast charging parameters that will make the charging experience worth it. No more waiting for your phone to get charged so you can continue using your phone. The Qi charging stand will give your Qi-compatible phone a fast boost and you won’t have to get in the trouble of scrambling around for wires and plugs anymore. It is also equipped with built-in charging intelligence and helps prevent the device from overheating or short-circuiting. The charging pad will maximize your device’s battery at optimal speed. 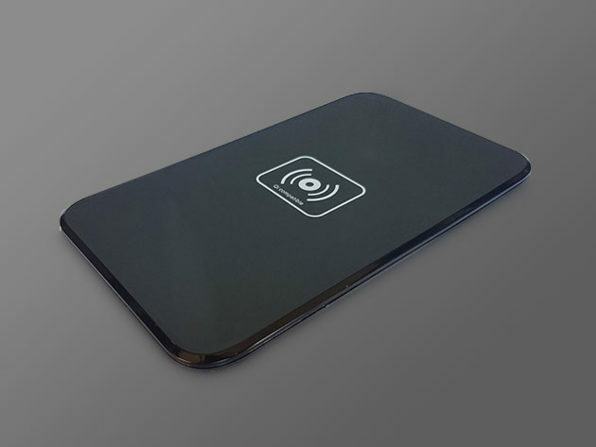 Before you purchase the Qi Wireless Charging Pad, here are some details you should know about the deal and the device. It offers the following things to its users. Another thing you should know is that it is compatible with only Qi-compatible devices. It also comes with a fast charge 2A wall charger, a Micro USB cable and a user manual. The charging pad is available to you at a 50% discount and only for a limited time period. So if you are interested in it, you should hurry up.